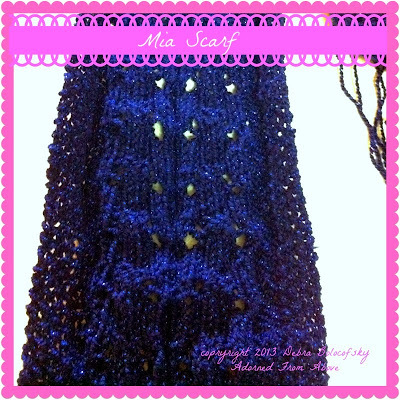 Today I am giving you my Mia Lace Scarf Pattern, just because I love all of you. This is a simple knit pattern, but it looks hard. Have fun knitting girls. For those of you who have printed this out, I have made the corrections to the pattern. I'm so sorry for the inconvenience. Then bind off. Weave ends in, and block. I hope that if you knit you like this pattern. It is simple and pretty, and great for winter, whether for yourself or a loved one. I always love hearing from you, so send me your comments. What a lovely pattern! I’d love for you to link up on my blog hop! www.w-t-fab.com/search/label/bloghop Would you also add me to your list of link parties please? Thank you for sharing your pattern. I crochet much more than I knit but this seems so doable. I hope to try it soon. Very beautiful Debi. I really need to learn how to knit or crochet. Thanks for sharing with SYC. Please let me know if you would like to get started. Just a reply to this comment is all it takes. Thanks so much for putting the pattern on All Free Knitting. I really appreciate it. What an honor. No, you would need to cast on 60 stitches. There are 4 stitches on each side which will stay the same. 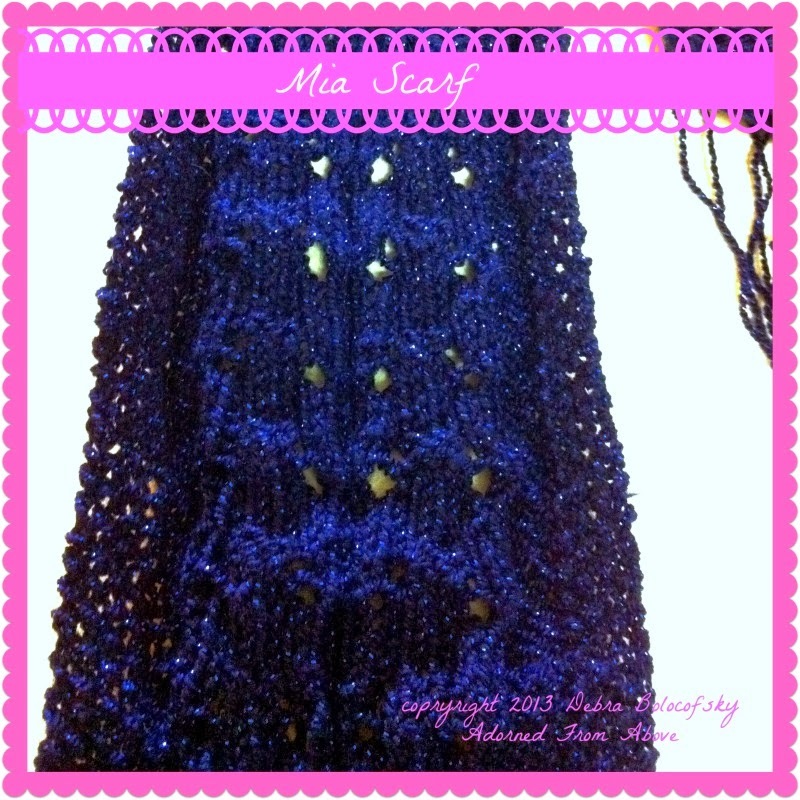 The cast on for the original pattern is 34, and the pattern work for the scarf is 26 stitches, so you would double the 26 which would give you 52, then the 8 stitches (4 on each side). That will give you 60 stitches. If you did 64 stitches, you would need to add 2 additional stitches to each side so you would have a k1 , p1 ( 3 times) on each side. That would give you a wider border. I hope that helps. I'm so happy that you are going to make the scarf. Will you send me a picture of it when it's done. I love seeing what people have made.